I spent went felt like an absolute age trying to pick out this week’s film. I wanted something complete stupid and mindless. And as soon as I saw Deadtime Stories, I knew I had found the perfect thing. This anthology movie is a weird one. A young boy is being babysat by his uncle (why is never explained), and the young boy demands a bedtime story before he can do to sleep. His uncle begrudgingly begins to tell him the story about a fisherman’s son who has to live with two witches when he runs out of options. They drag him around to help create the spell to raise their sister from the dead. He eventually must seduce a girl so that they can sacrifice her life. But the son falls for the girl and turns against the sisters. While the story has a traditionally happy ending, the uncle changes it to one of death just to please his nephew. The last two stories are significantly better. The first sort of looks like the fairy tale bits from Troll 2. But the latter take on a much more watchable Troma vibe. Story number two is a twist on Little Red Riding Hood. Rachel is a sexually frustrated teenager. She also likes to go running. Are these things related? Maybe. One evening, Rachel is sent off to get her grandmother’s meds and deliver them to her. She bumps into a rather wolfish man while at the pharmacy and the two accidentally switch prescriptions. The man attempts to go track down the grandmother, but she refuses to answer the door. Rachel, who still hasn’t delivered the goods to gran, is too busy losing her virginity to her boring boyfriend. Eventually, the man turns into a werewolf without his meds. He kills grandma, and he kills Rachel’s boyfriend too. The third bedtime story is easily the best. It’s zany and beyond stupid. In Goldi Lox and the three Baers, two members of the Baer family escape from a mental asylum with the help of Mama Baer. After avoiding the police, they agree to return to their usual hideout to lay low. But when they arrive, the discover that the Goldi Lox is already. Lox is also an escapee. She’s also a serial killer with telepathic powers (because of course). While the Baers are initially upset with her presence, they agree to let her stay. The family soon learn that having Lox around is a great asset to their lifestyle. It’s totally loony, but it’s great in a very over-the-top sort of way. And it certainly takes many leaps of logic to actually believe. In the end, when the uncle finished his stories, the little boy is attacked by a puppet monster in his room. A bit of a weak payoff in the end, considering it’s difficult to even understand what the puppet it meant to be doing. 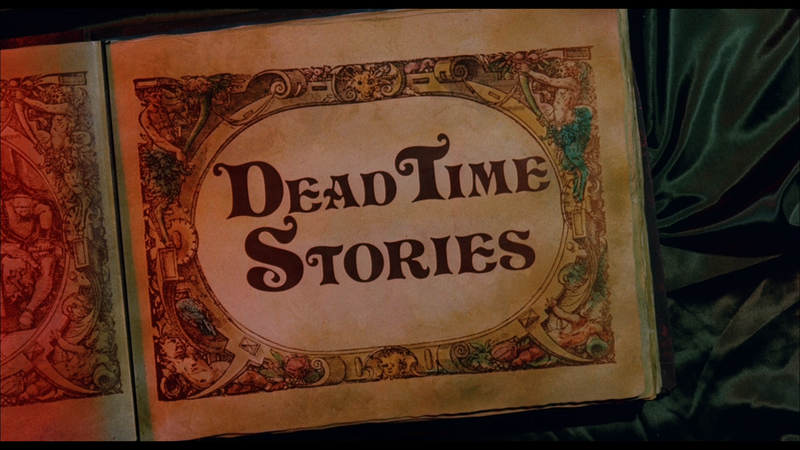 But you don’t exactly go into a movie like Deadtime Stories and expect really high quality. It’s a weird sort of film that made my evening just that bit more enjoyable.